Dulce last took the IELTS Exam in 2011, and she only got an overall 6. Then, after completing our course, she not only got an overall 7, she got an 8 in reading! 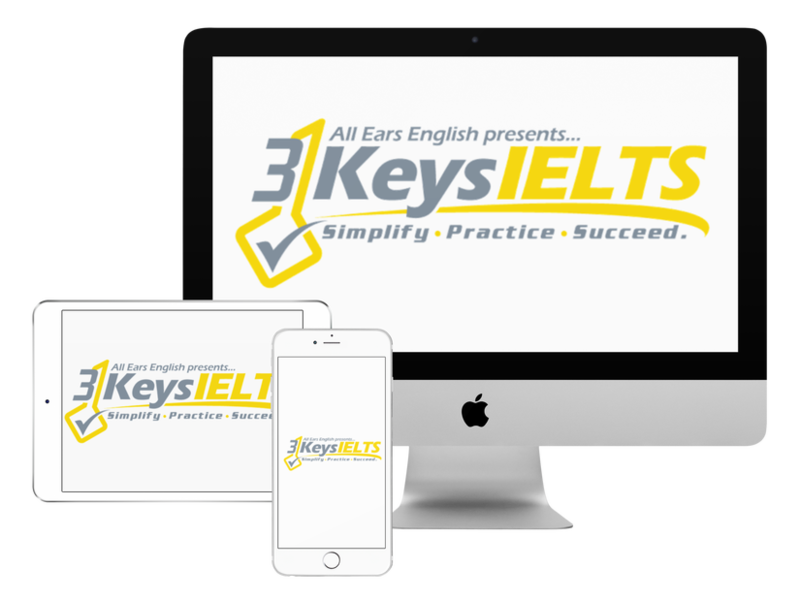 Do you have a system to help you pass the IELTS Exam? What??!! This is an incredible score! How did Dulce do it? Simple. She followed the system from 3 Keys IELTS. She got the strategies she needed from us, then she practiced, practiced, practiced. Dulce used articles from newspapers and magazines to practice the specific skills of skimming and scanning. Then, on exam day, she actually finished the Reading test 10 minutes before the time was up! This is actually incredible, because, as Dulce said, she actually totally lost track in one section, missing 10 questions. She was still able to secure a 6.5, however, because of the 3 Keys strategies that she had learned and practiced. The most helpful strategies for her were reading the directions carefully, underlining key words, and focusing on the key words while she listened. This also was a challenge for her, because the questions we always practice, about graphs, were not featured in Task 1. Nevertheless, Dulce remained calm and remembered the advice from the course, maintaining high-level vocabulary and excellent cohesion and coherence. Before your speaking exam, find a way to ensure confidence and poise. As you can hear on the podcast, Dulce definitely sounds like a 7+ Speaker; however, her nerves got the better of her on exam day. Now, Dulce’s on to a PHD in Canada! Because she received her overall 7 on IELTS, Dulce can now follow her academic dreams, and, hopefully, live in Canada beyond that. She trusted our IELTS system, and she worked very, very hard. And, indeed, she got over the hurdle of IELTS. What do you think of Dulce’s advice?